Ballacowell is situated just off the TT course near the 18th Milestone. 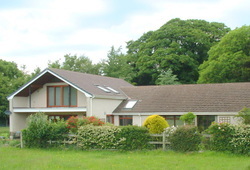 It is in an easy to find rural area within walking distance of Sulby village with its post office/shop, pub (Sulby Glen Hotel) and chapel. 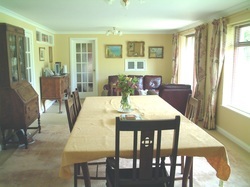 Breakfast is served in the dining room which enjoys unspoilt views of the Tholt-y-Will Glen and Snaefell. We offer a full English breakfast and kippers by prior request. If you have any special dietary requirements e.g. gluten free please ask. 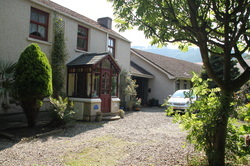 We have ample private parking both in front of and behind the house. 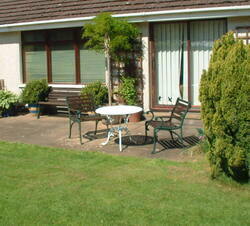 There is a south facing garden and patio for bed and breakfast and self catering guests to enjoy on those warmer days. The twin room has two single beds, 3 feet wide, with tea and coffee making facilities, remote controlled digital tv, radio and hairdryer. 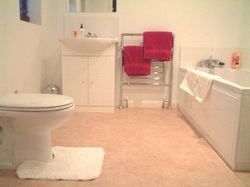 The en suite bathroom adjoining the twin room, comprises power shower, bath with hand held shower, wc and basin. 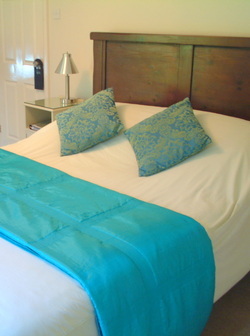 The double room has a king size (5 ft wide) bed with tea and coffee making facilities, remote controlled digital tv, radio and hairdryer. 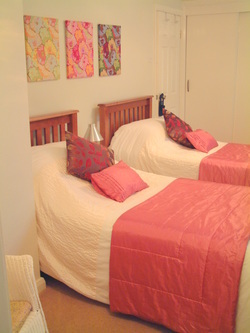 This room has a similar en suite to the twin room.